Upon the invitation of my fashion law colleague Susan Scafidi, who operates the Fashion Law Institute program at Fordham Law School, I had the privilege to speak to the inaugural 2014 Fashion Law Boot Camp West Coast class. My presentation/discussion was along side a few highly respected fashion law colleagues in the industry, and I enjoyed every minute of it. I focused my discussions on the Right of Publicity and its intersection with Intellectual Property Rights and First Amendment issues, among others. I also addressed the fluid and dynamic issues brought on by the advent of social media where Right of Publicity was concerned. I must say I am very proud of Susan. Susan and I met almost seven (7) years ago online, when I blogged at Ladybrille and she Counterfeit Chic. There were very few fashion bloggers and even more so, fashion law bloggers. Susan focused a lot on Copyright Law and other intellectual property related matters but soon, she began blogging on launching a Fashion Law Institute (FLI). 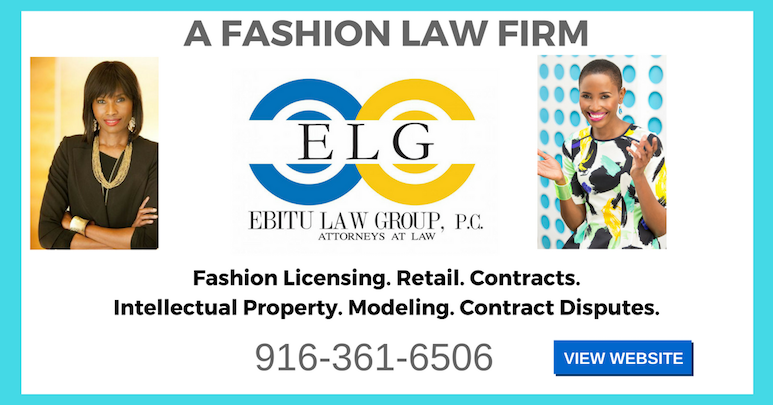 With hardwork, perseverance, focus, and the thought that she could in fact have a viable fashion law program at her law school, she made that dream, that thought, a reality. Fordham’s Fashion Law Institute now enjoys the honor and distinction of being the first Fashion Law School in the world. The saying that “if you can dream it, you can achieve it” indeed holds true. It took one woman who believed, put in the work, was determined and never quit; and the world and even more so the fashion industry is so much better off because of her relentlessness in realizing her vision. I conducted Susan’s first fashion law interview regarding the launch of Fordham’s Fashion Law Institute on this blog which you can revisit here. I also remember how surreal it felt, two years ago, to see the FLI Fashion show listed on the media schedule and fashion calendar for New York Fashion Week. I have been covering the Mercedes Benz New York Fashion Week shows, in my journalistic capacity, for over a decade and to see a prominent place for Fashion Law on New York’s runway, was needless to say, surreal yet truly amazing! Fast forward to 2014 and Susan expands the FLI brand to launch a West Coast boot camp program in San Francisco in conjunction with one of America and the world’s leading apparel brand LEVI’s. It is a beautiful thing and one both Susan and LEVI’s should be proud of and applauded for. “Our heritage, our products, our logo … these have all made Levi Strauss & Co. the reputable company that we are today. So when it comes to protecting the two-horse logo, the red “tab device,” the arcuate on the back pockets of our jeans or other important company assets, we take things seriously, and we’re sharing our best practices so others can learn from our legal history by hosting the very first West Coast edition of Fashion Law Bootcamp right here at Levi’s® Plaza. 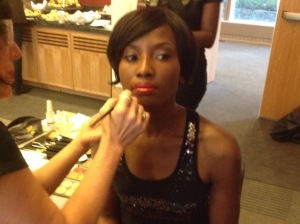 This week-long crash course is an intensive program for fashion professionals, attorneys, and law and design students. The program curriculum explores diverse areas of law and the apparel industry, including intellectual property, business and finance, international trade and government regulation, sustainability, and consumer culture and civil rights. And, this is the first time the program is being offered outside of New York, where it has been held annually for the past four years. 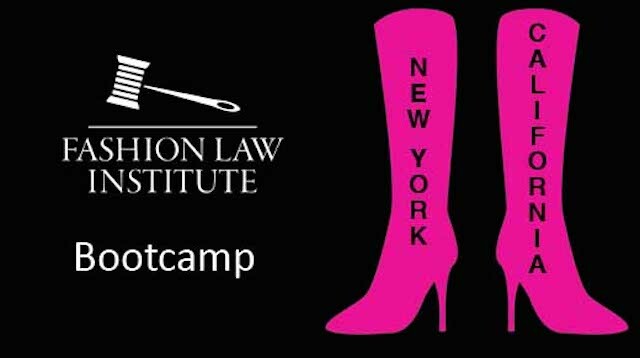 The Fashion Law Bootcamp summer intensive program was created by Susan Scafidi, professor at Fordham University School of Law and pioneer of fashion law as a distinct legal field. In 2010, with the support of Diane von Furstenberg and the Council of Fashion Designers of America, Susan founded the Fashion Law Institute, the world’s first academic center dedicated to legal and business issues pertaining to the fashion industry.” – More on the LEVI’s Blog.